It’s easy to see the appeal of open source. It’s free, readily available, and easy to use, modify and distribute. There also are lots of options, including Selenium, Apache JMeter™, Web Load, Cucumber, Grinder, and more. Agile teams can simply download the Open Source tool that best complements their development environment to test early and often for quality software. But it is also here, that we continue to see the traditional role of the Test Center of Excellence (CoE) playing a more pivotal role in the age of open source based software testing. Where the Test CoE extends itself in new exciting ways, to broaden its impact as an internal resource provider with continued relevance in this brave new Open Source world. When you augment your existing legacy test resources with an Enterprise Ready test platform like CA BlazeMeter – built from the ground up for open source – Test CoEs remains critical in its role to provide much needed executive oversight for business metrics, resource metering and planning. For centralized visibility across projects in their dedicated workspaces, managing resource request allocation with drill down error reports and analysis by Agile team for chargeback. And without breaking a stride, Test CoEs evolves to establish a flexible, test automation framework – of business standards and processes that brokers for on-demand Open Source testing services that matters to your Agile team. Bridging existing legacy test platforms like LoadRunner, to integrate and support all types of modern software testing – from testing of code off a local desktop to running cloud-based performance tests at scale, and in parallel across varying networks. It is here, that the Test CoE continues to protect sensitive data, by running tests in a private cloud environment. Test CoEs can enjoy cost efficiencies when adopting new Open Source technologies, to build out its tool chest for the DevOps practice without discarding the investments made in legacy testing tools. Here are five important reasons why your Test CoE continues to matter, using CA BlazeMeter to broaden its role and add value in an Open Source environment. 1. Centralized Test Automation Framework. QA testing of applications by Agile teams are by nature aligned to project goals as opposed to organization goals. In the absence of a centralized testing framework, Agile testers may not share a common goal or direction across the business. A Test CoE helps consolidate testing functions under a single umbrella, to operate towards a common mission and vision for the business. By leveraging a mature QA framework and standard tools in the Test CoE, using BlazeMeter to build on this same legacy test automation platform to decentralize test resources for Agile teams, we see more efficient test cycles and reduced application time-to-market. 2. Expand test coverage at scale. Standalone Agile teams have limited cross-project visibility, making it impossible to optimize test resources and achieve economies of scale. Finding test resources with the desired technical skills and domain knowledge can be a challenge, with projects suffering from high training costs and cross platform dependencies. With BlazeMeter, though, your Test CoE can ensure testing resources are organized and properly deployed across projects. You can extend Open Source test coverage at an enterprise scale to any Agile team at any time. Self-service performance, functional and API tests can all be run from the same “drag and drop,” “load and go” toolchain, with no proprietary language to learn. Agile teams get their own workspace where they can write tests in simple syntax and describe a full-blown script in ten lines of text from their development software of choice. They can define and execute small-scale tests from their local machines, and when ready, seamlessly switch and run these same tests in the cloud at loads of over two million virtual users. Multiple projects can be tested in parallel across different geographies. QA testing process used by Agile teams are not transparent, and they cannot be sure of the return on investments (ROI) for their tests. There is no efficient tracking of how much was invested into testing and of the return it has generated. A Test CoE introduces metric based tracking best practices which measures the success of Agile teams in their QA process and the ROI on testing. Together with BlazeMeter, your Test CoE solves a common conundrum. When you make Open Source, QA testing tools available to Agile teams, you can ow track the results of their testing efforts. BlazeMeter lets you monitor test coverage, test effort, defect slippage, test effectiveness, ROI and other important metrics companywide. You enjoy centralized visibility and clarity, with drill-down error reports and analyses. Intuitive dashboards and real-time analytics offer actionable insights you can use to help Agile teams build better applications faster. 4. Drive best practices and operational efficiencies. Unlike a Test CoE, standalone Agile teams typically lack standard QA processes, and there is no sharing of best practices, tools and automation opportunities across teams. As a result, unnecessary time and effort is wasted as each team reinvents the wheel, and struggle with issues related to defect leakage and missed deliveries. With BlazeMeter, you enjoy the immediate cost savings and efficiencies that open source brings, without sacrificing a centralized test framework. Your Test CoE, can standardize testing processes across the organization – setting guidelines for test planning, test scripts and test execution. You can share best practices and lessons learned, highlight new automation opportunities and enforce companywide standards. Agile teams might not always be aware of new trends in testing. There is no focus on emerging technologies and with no framework necessary to test them. A Test CoE structure will help Agile Teams be more business oriented. It is in sync with new technologies and trends in testing, giving businesses a competitive edge when responding to new opportunities. A case in point, your Test CoE can leverage BlazeMeter and Open Source testing to support DevOps continuous integration and continuous delivery (CI/CD) practices – helping your business achieve a competitive edge. You can accelerate test automation and drive quality across the CI/CD pipeline. BlazeMeter integrates seamlessly with CI servers to help development teams move code seamlessly to the next stage in software delivery. You can even set stringent SLA thresholds that stop bad code from progressing until errors have been resolved. The result is better code, delivered faster. 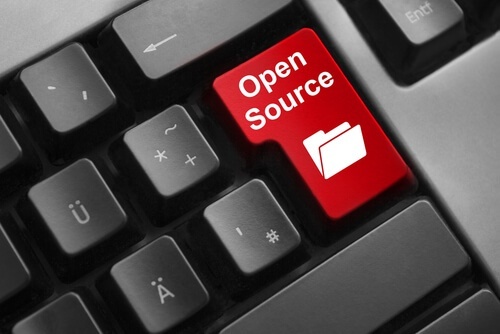 To experience the many benefits that Open Source testing can bring to your CoE, start by converting your LoadRunner test scripts to open source using our free, self-service BlazeMeter Script Converter. Next, request a free BlazeMeter demo, and do it today! We also encourage you to join the Apache JMeter™ Training Academy to learn tips and techniques that can save time and help you work more efficiently in an Open Source environment. To learn, more visit www.blazemeter.com/shiftleft.